On Wednesday, January 31, 2018 at approximately 4:30 p.m., emergency responders were dispatched to the intersection of South New York Avenue and Pine Street for a report of an injury accident. 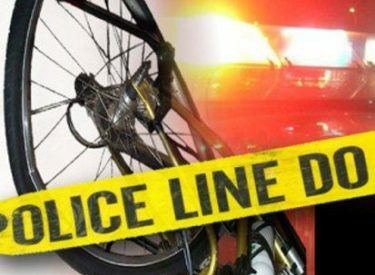 It was reported that a cyclist had been struck by a vehicle. Investigating officers found that a 2002 GMC pickup was pulling onto Pine Street from New York Avenue and struck a 56 year old male riding a bicycle. The driver of the GMC, an 82 year old male, did not see the cyclist crossing New York Avenue at Pine Street. The cyclist was taken to Southwest Medical Center by Seward County EMS with non-life threatening injuries. The driver of the pickup was issued a citation for inattentive driving.